Sponsored by Avon. All opinions are my own. Since I was a little girl, I have always gotten compliments on my eyelashes. 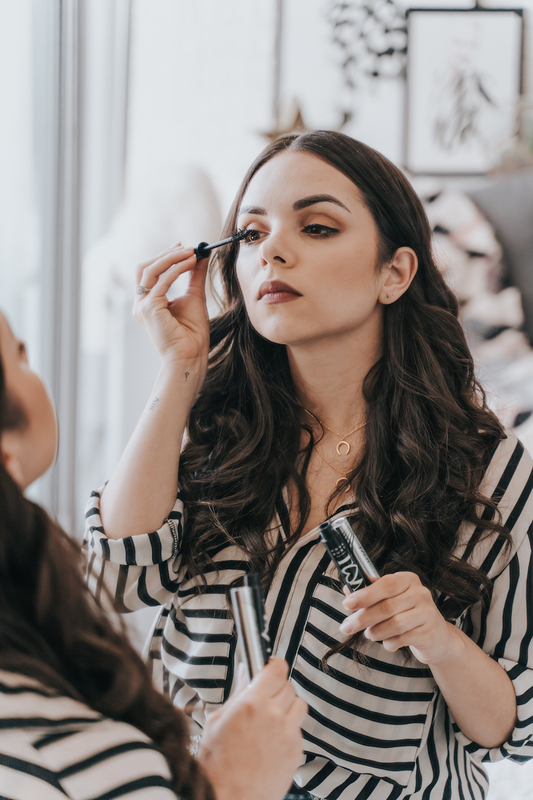 My lashes have always been on the long side and I love enhancing them with mascara. Long eyelashes make us look rested, youthful, and extra feminine. 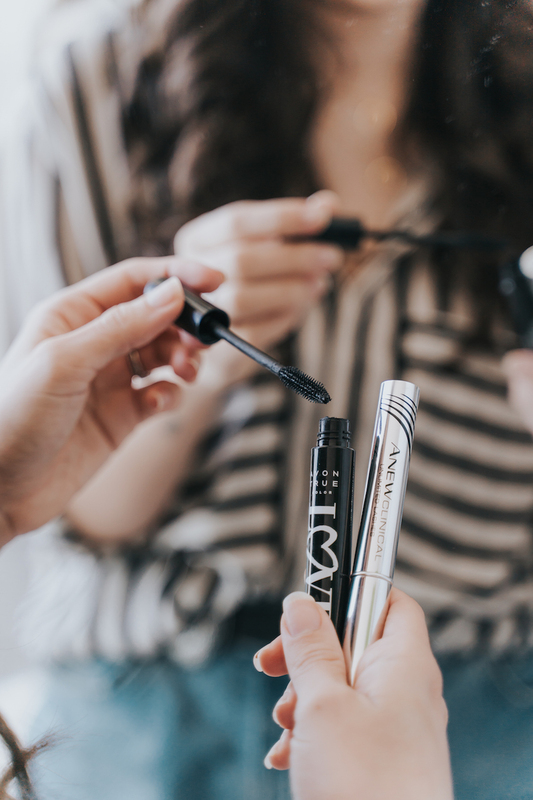 All that curling and layering of mascara can lead to lashes breaking and even falling out, so I want to share with you some of the tricks I’ve learned to take care of your eyelashes! Unless it is a special occasion (like your wedding! ), avoid waterproof mascara. Their formula tends to be extremely drying (the equivalent of flat ironing your hair every day!). Instead, go for an everyday mascara that’s made with natural ingredients, that way it not only fills out your lashes but also nourishes them. That’s why I’m loving Avon’s True Color Love at 1st Lash Mascara. It has LOVE COMPLEX; Vitamin A, C, and E to condition the lashes, Olive Oil and Lycopene to strengthen them. This mascara is also paraben and sulfate free. It also has heart-shaped fibers that create weightless volume that lasts all day. I’m always saying that no matter what, you should take your makeup off every single day. Instead of using a face cleanser on your eyes, I recommend using a makeup remover (even better if it’s one designed for the eye-area). Gently wet the cotton ball with makeup remover and dab on your eyelids. You shouldn’t be rubbing them hard, since it could lead to lash loss or breakage. Also, remember to use different cotton balls on each eye to reduce the risk of spreading germs. This is where the Anew Clinical Unlimited Lashes Serum comes into play. 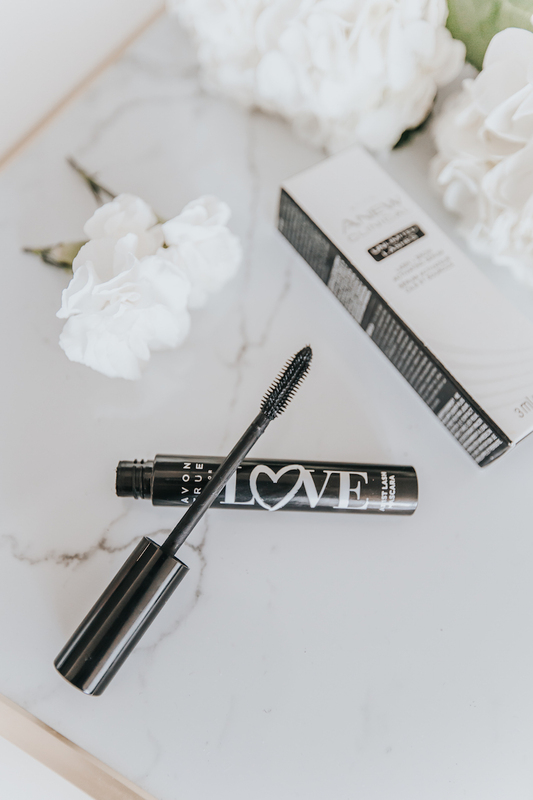 Together with AVON’s True Color Love at 1st Lash Mascara, the serum helps enhance the appearance of longer-looking lashes in just a few weeks. 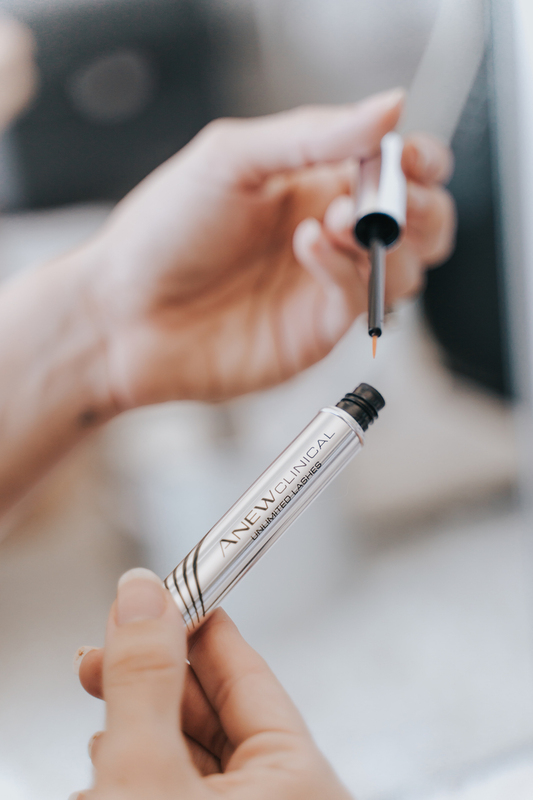 The Anew Clinical Unlimited Lashes Serum contains a peptide blend and botanicals that dramatically enhance the look of lashes. It also improves eyelash density for thicker, stronger lashes + it’s Paraben, Sulfate-free, and phthalate free! 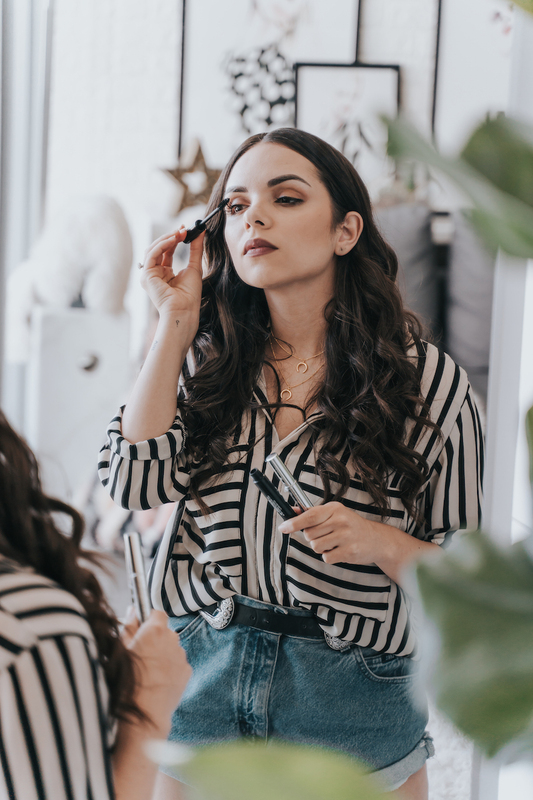 Apply on clean, dry skin, prior to skincare regimen by sweeping a thin layer of serum along the lash line of upper eyelids only (like you were applying a liquid eyeliner). - Do not apply on lower lashes. - One dip into the vial is the proper amount of serum for BOTH eyelids. - Let dry naturally. Do not rub eyes. - Apply only ONCE a day. 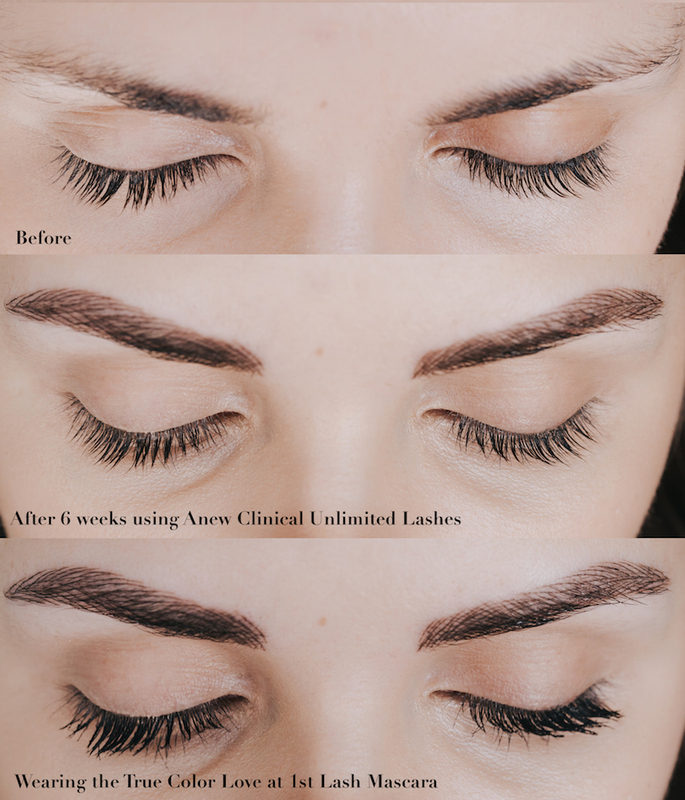 I’ve been using the Anew Clinical Unlimited Lashes Serum for the 6 weeks and my lashes look longer and fuller! Don’t you agree!? From time to time, let your eyelashes breathe by not wearing any makeup (but don’t forget to use the serum at night!). Remember lashes are hair; and just like you shouldn't wash and blow-dry your hair every single day, you shouldn't do the same to your lashes! Also be careful with curlers and false eyelashes. The false eyelashes’ glue can be strong and full of chemicals that in the long run weakens the roots. And when curling, don’t squeeze too hard to avoid unnecessary damage. 5. Eat foods that support healthy hair growth. - Salmon (with Omega-3 fatty acids for full shiny hair). - Spinach (contains Vitamin A, Iron, Beta Carotene, Folate and Vitamin C). - Citrus fruits and guava. I have to try this! Looks like it works so well! Thank you for sharing the tips! My eyelashes are short and straight so I have to curl it every time I need better makeup. The tips will be very helpful for me. Thanks for the good detailed review. The picture illustrates everything about the procedure.